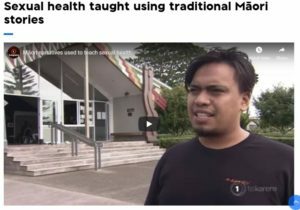 Te Whāriki Takapou and Te Kaha o Te Rangatahi were interviewed on Te Karere on 11 October 2018 highlighting the use of mātauranga Māori resources around sexual and reproductive health. View the video clip here (Te Karere website). Research-Project Leader | Te Rarawa, Ngāti Kahu: Currently engaged in National Guidelines Training Videos and Te Aitanga a Tiki projects, Jillian has a background in research, te reo Māori, translation theory and practice and translation ethics.